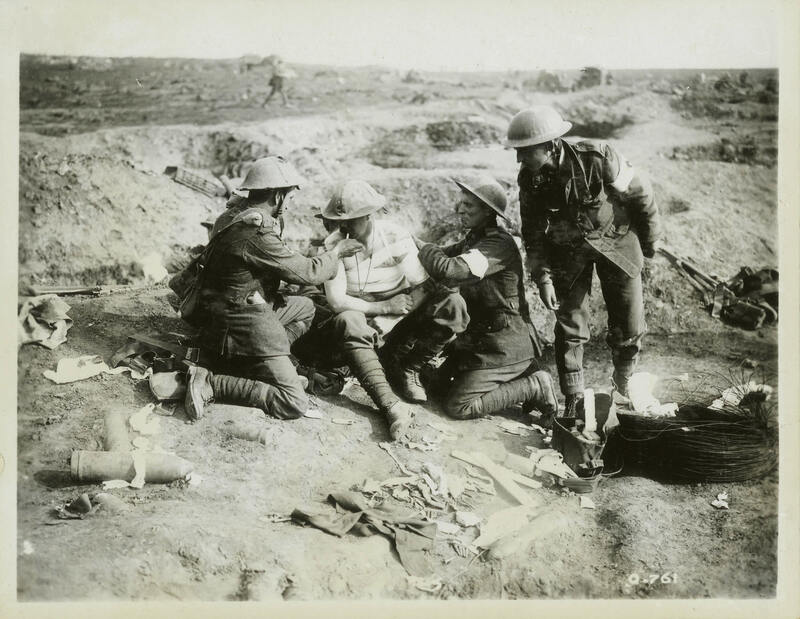 A fellow soldier and medical personnel tend to a badly wounded Canadian. While one bandages his wound, the other lights his cigarette. Strong relationships forged in the trenches, and loyalty to one's chums, were among the primary factors in supporting morale.